Add the beauty of gold to your Sterling silver jewelry with 24 karat gold! 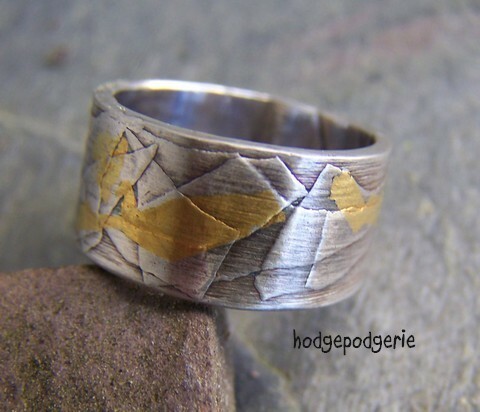 Students will be introduced to the Korean art of Keum-boo - an ancient gilding technique used to apply thin sheets of precious metal to silver and other metals. Aura 22 - a 22 karat yellow gold "paint" will also be demonstrated. Traditional and unconventional methods of the Keum-boo technique will be discussed and demonstrated in this indepth workshop to help the student find the application technique that serves them best. 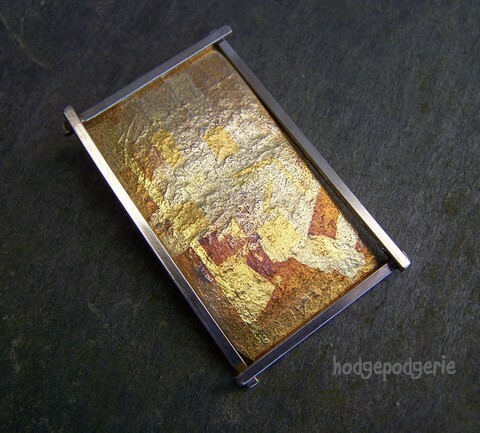 Learn how to make your own keum-boo and how to apply different patinas to make the gold pop! 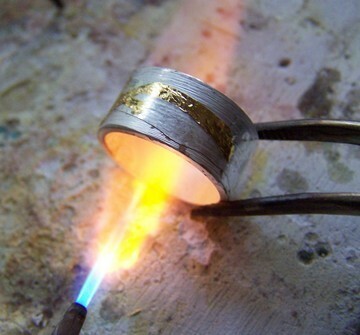 Students will create a pendant or pair of earrings and a ring of Sterling silver embellished with 24 karat gold using the Keum-boo gold and silver technique and the application of Aura 22. 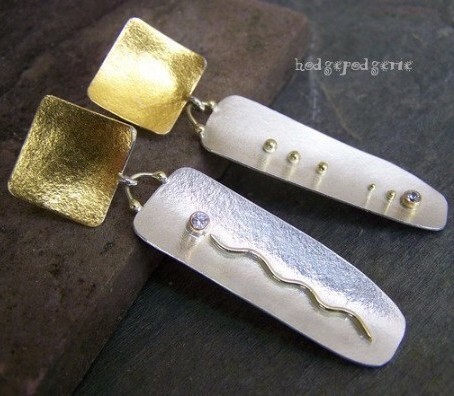 Add the richness of gold to your jewelry designs with minimal expense! 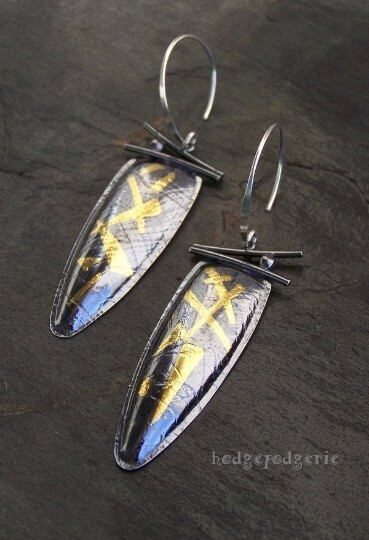 "What a fun, fun workshop"
Return from "All That Glitters Workshop" page to "Wire & Metal Jewelry Classes" page.